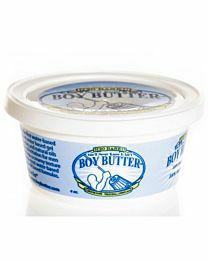 You don’t have to butter us up; we have what you’re looking for right here! 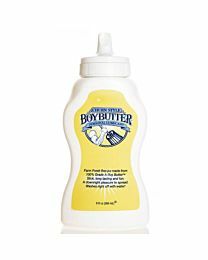 The revolutionary Boy Butter lubricant is water soluble and super slick. 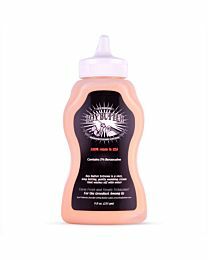 Developed using vegetable oils, it is creamy yet stain free. 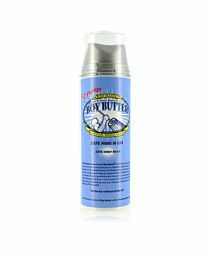 The first water based cream formula; it is mixed to a rich, thick texture which eliminates the stickiness commonly associated with a water based lubricant. 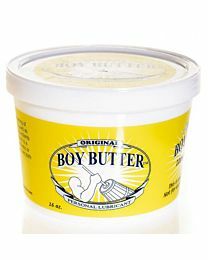 Based in New York, Boy Butter is well renowned for its innovative ideas and unique products. It continually brings us updated versions of one of our very favourite lubes. With powerful, yet gentle ingredients, everything is guaranteed to run smoothly in your play. Spread it onto your best bits and you’ll be saying “Oh boy” in no time!